Sign up and receive Property Email Alerts of Freestandings to let in Atlantic Beach Golf Estate, Melkbosstrand. Tyson Properties Western Seaboard presents, the opulence of Atlantic Beach Golf Estate, could be your home for 5 months. This beautiful, large, fully furnished home offers splendor, entertainment, practicality as well as uninterrupted views. There are 4 bedrooms, main en suite, 2 bathrooms upstairs and a guest bathroom downstairs. 3 lounges including an entertainment lounge with a bar, large TV and surround sound, plus a pool room too. There are 2 dining areas, to alternate for winter and summer dinners. The kitchen has everything set up, whether you are a gourmet chef or just needing to whip up a quick meal. Off the kitchen is a scullery / laundry complete with, dishwasher, washing machine, tumble dryer and an ironing area. The back area looks onto the fairway, with protected fynbos blending into the scenery. From the time you come through the front gate the entertainment areas abound, there is a separate Jacuzzi alcove inside, the other informal lounge and dining room have glass stacking doors overlooking the splash pool, heated by solar panels. The outside decking flows to the covered patio for further dining and entertainment, with a built in gas braai, a preperation counter and a built in wood braai. Shutters on most windows and doors. A waterwise garden with a borehole plumbed into the house. Jojo tanks to catch the rain water. Solar geysers, so you can go off the grid if need be. 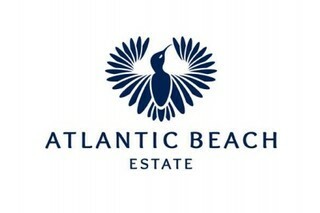 Atlantic Beach Golf Estate is a large secure estate just before Melkbosstrand, the golf course is well layed out, with homes, protected vynbos and springbuck among other wildlife all coexisting. Call me today, if you want or need to stay in grandeur for a few months. Sign-up and receive Property Email Alerts of Freestandings to let in Atlantic Beach Golf Estate, Melkbosstrand.